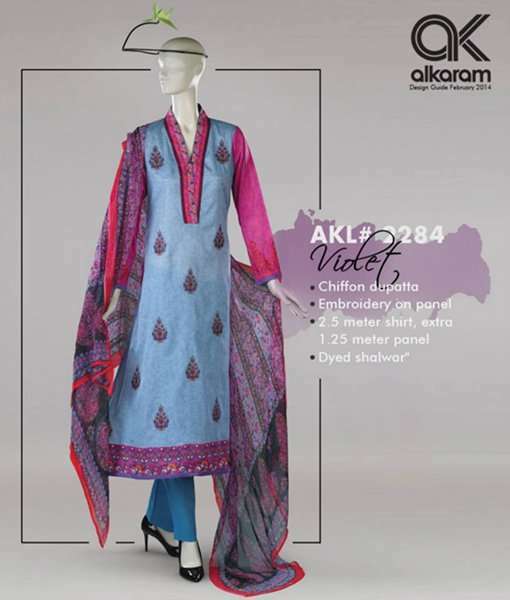 Alkaram Lawn Collection for Women 2014 is the latest collection of dresses which we will discuss in this article. 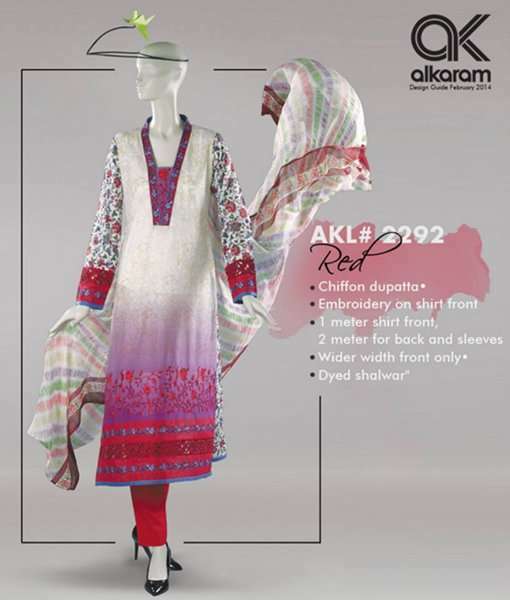 In this summer season Alkaram brings the variety of colors with flirty prints and designs. 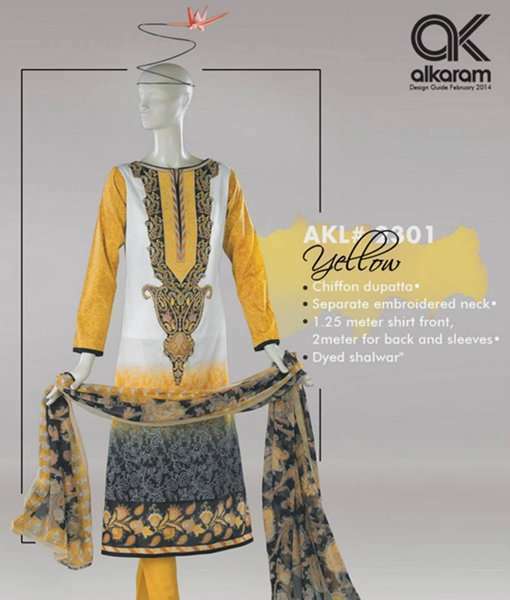 Alkaram has launched this amazing collection a few days ago and this list contains some new dresses which are brilliantly designed. 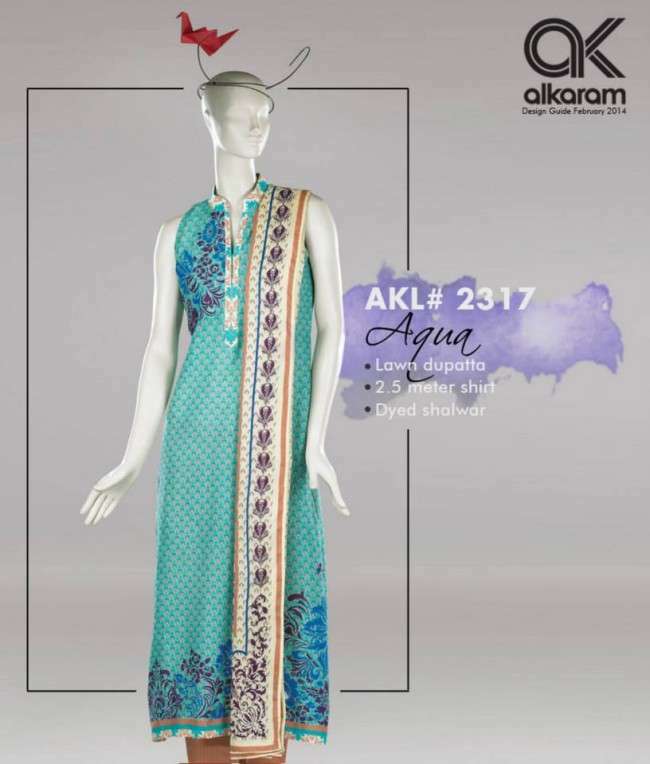 Alkaram is one of the oldest and leading textile brand of Pakistan and its dresses of spring 2014 volume 1 & 2 have been on the rampage. This collection has some new unique embroidered designs. Mostly, there is embroidery on the chest and on the border of each dress. 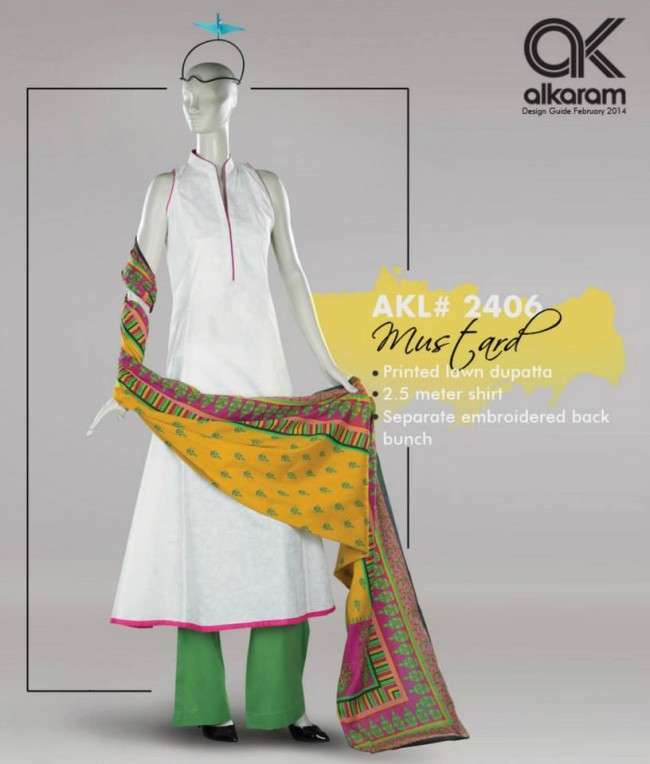 Alkaram offers all type of ready to wear stuff from casual wear to formal wear for all type of seasons. 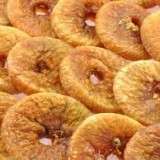 Alkaram textile industries were founded in 1986. 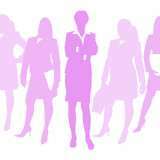 It is specialized women wear brand which present latest trendy dresses through its clothing. 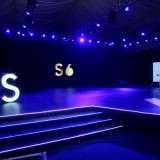 These dresses and outlets are available in all leading stores and also on international level which include countries of UK, USA, Canada and Australia. 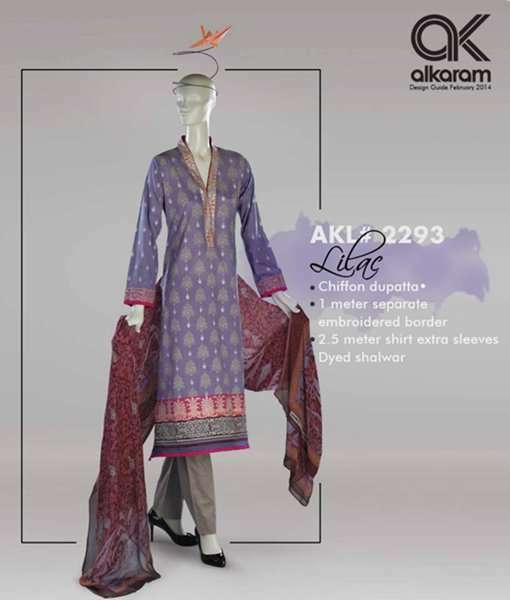 In this collection, Alkaram presents the three piece suits which has dupata, shalwar and kameez. 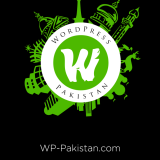 For the first time Alkaram present the shalwar pieces with painted colors and some have flower prints. The joy of spring 2014 is the name of the volume-01 of Alkaram brand. In this volume they are introduce modern embroidered dresses and motifs works for their tender customers. 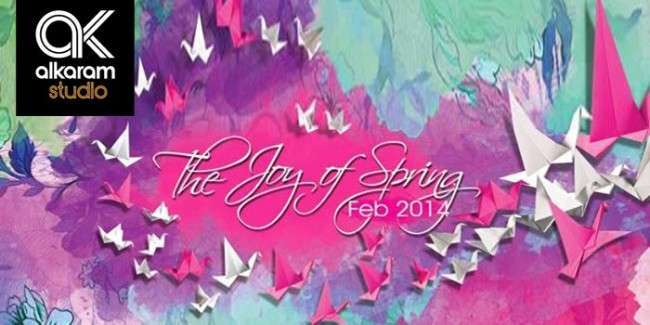 Alkaram “The joy of spring” are launched for our valuable readers which has 58 originals designs with traditional styles. 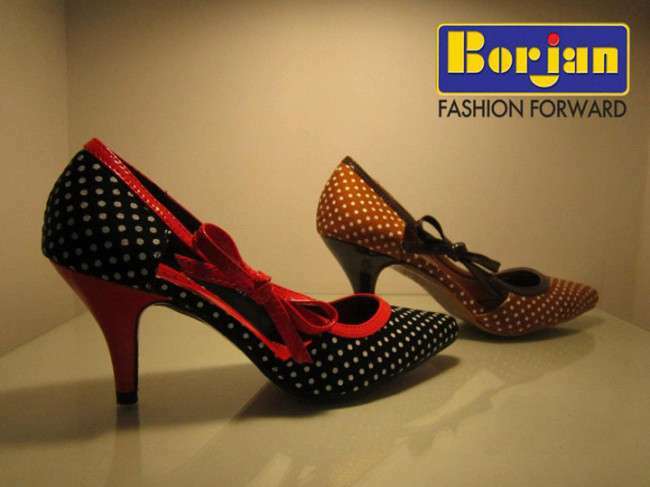 These dresses have been made with your favorite lawn fabric, with chiffon and lawn printed dupata. 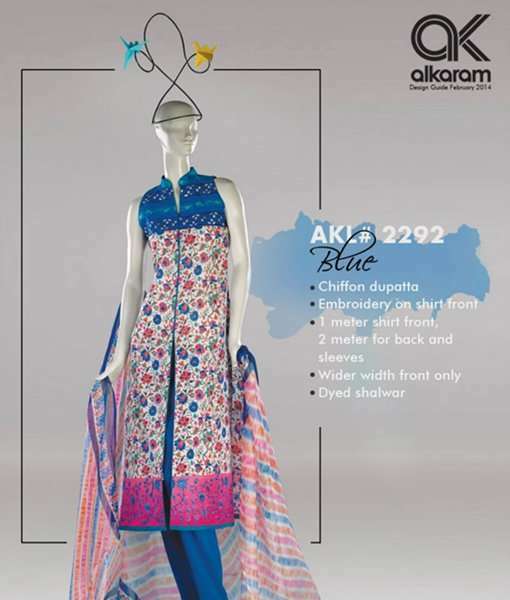 Alkaram also offers Digital printed shirts, Simple lawn shirts and machine embroidered neck designs with simple color matched bell bottoms, flappers, trouser, churidar pajamas and shalwars. 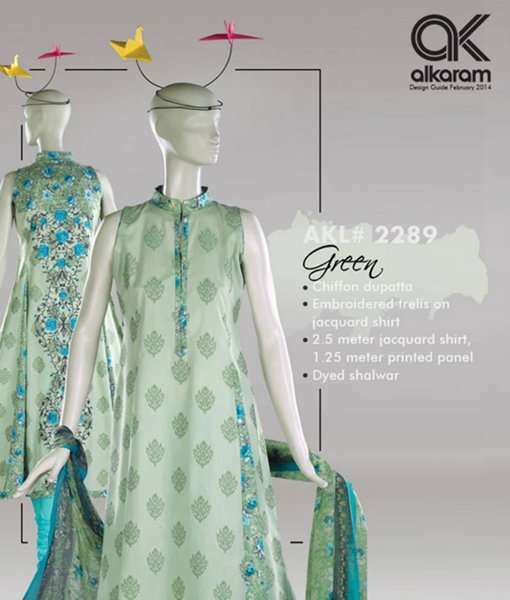 Here some new designs and prints of Alkaram spring lawn 2014 collections which is mention bellow. Previous story Why Dark Chocolate is Good for you?